And now for something completely different. Recently a new sector of technology caught my attention: cryptocurrencies. Of course, most of you reading this will know about this piece of technology by reading news headlines on the ridiculous price growth of Bitcoin. In this article I will try to create an overview of the whole crypto space. All over the internet you can find people either praising bitcoin or completely criticizing its existence. Even in the investing world there are "Bitcoin maximalists", people who only invest in Bitcoin and ignore all other cryptocurrencies. My view on Bitcoin is pretty neutral, there are both advantages and disadvantages to the almost 10 year old cryptocurrency. The largest upside is the fact that everyone knows Bitcoin exists, a miracle on its own. The downside is the (already) dated tech: Bitcoin has run into major problems with transaction speed and transaction costs. A solution is already being released: Lightning Network, but it may be too little too late. 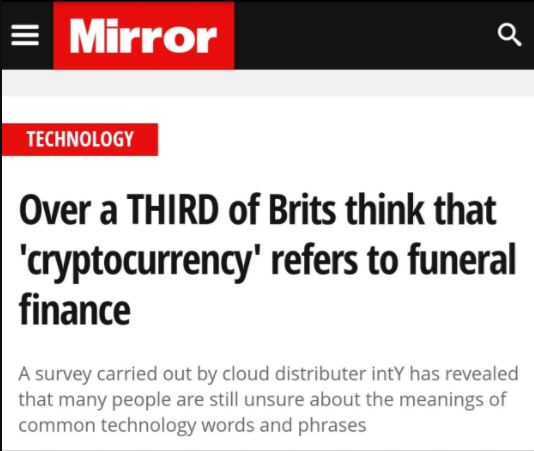 Enough about Bitcoin. There is one other topic I have to address before we can have a good discussion about the technology rather than its price: investing. Just like the opinions on Bitcoin, investing in cryptocurrencies is a hot topic, and will probably spike the news again if prices rally up. The question is always "should I invest in cryptocurrencies?". The only answer to this question has to be: decide for yourself. Before you race to Google, be aware that most, if not all, sources of information contain a certain bias. You could for example visit the cryptocurrency subreddit and find a lot of people are positive on certain currencies. On the other hand I found this article from MrMoneyMustache, even though its negative outlook, pretty informative. Either way, this post is not about investing, but rather the technology behind several cryptocurrencies. The reason why I became so interested in cryptocurrencies has nothing to do with the price of a certain cryptocurrency. I got interested because almost all of the projects are completely open-source! This open-source state is such an interesting shift compared to all currently closed source companies. There is even a page that monitors activity on all the GitHub crypto repositories. IOTA: An Internet Of Things solution for the crypto world, using what they call the "Tangle", a technology placed in the category of "Blockchain 3.0". The IOTA team tries to solve the original peer-to-peer transaction problem with a revolutionary but simple method: you as a user of the network will have to verify two other transactions on the network when you enter a new transaction. Their paper is very in depth on safety and even discusses resistance to quantum computing. Interestingly enough I stumbled upon a good friend of mine in both IOTA and NANO: DAG (Directed Acyclic Graphs), which I happen to use for compressing Sparse Voxel Octrees (see other blogposts ;) ). Storage solutions on the blockchain. A very interesting idea. You can upload files completely anonymous, and nobody in the world is able to take down your file (except if they happen to have the power to cut off all existing nodes). Notable mentions are Oyster Pearl and SIA which are decentralized solutions for storage being launched. Battling recent changes in the US on Net Neutrality are projects like Substratum and the recently announced Oyster Shell. These projects aim to create a decentralized web, where you can use the internet by connecting through other users instead of central authorities like internet providers. Unfortunately this is only a software solution as the hardware between users can still be controlled by centralized authorities. Blockchain application platforms like Ethereum and NEO allow for hosting other cryptocurrencies and dapps (decentralized applications) on their network. Ethereum being the second oldest crypto, is currently hosting 1385(!) projects. Cryptolights is an interesting visualization of some transaction speed comparisons for mainstream cryptocurrencies. Even though it is faster than Bitcoin, Ethereum has also hit its limits when a famous app called CryptoKitties was released. Privacy coins like Monero and Enigma mask public transactions by scrambling a group of transactions together. Enigma even allows for private data inside "secret contracts", which are able to perform the necessary computation without knowing the complete dataset. There are too many awesome projects to list here, I left out some other interesting projects like to keep this article reasonably short. You can always check CoinMarketCap yourself and find more projects. The power consumption at the moment of typing is comparable to all of Switzerland. One single transaction can power about 32 US households for a day. On the other hand, this article compares the current banks and VISA's power consumption versus Bitcoin. It shows a rough estimate of all power consumption by the current banking system worldwide, which is of course more than bitcoin, but banks won't be completely replaced by Bitcoin. There will still be buildings and computers that need to be powered, even though the work on them will probably change. The problem mainly exists because of the current financial incentive generated by what is called mining in the crypto world (also known as Proof Of Work). Users offer their computational power to compute the solution to a cryptographic problem for the next transaction (where many gamers expressed outrage, for whom graphics cards became an expensive purchase). If only there was another solution readily available for Byzantine fault tolerance.. Luckily some projects already adapted POS (Proof Of Stake) methodology, where users can stake to be a decision node on the network. Examples like Ethereum's Sharding and NEO's DBFT give me hope for a more eco-friendly solution. A second problem is found when looking at the current state of the crypto world. There are currently around 1600 currencies in existense, of which most projects will completely fail, or are complete scams. This seems to be comparable to the dot-com bubble, where many internet startups went bankrupt when the market collapsed. Finally I see the statement "crypto makes money laundering way too easy" a lot. Guess when a similar statement also appeared: when everyone was speculating about the invention called "the internet". I can't say it isn't a problem, but removing all privacy from the crypto space isn't the solution either. Now that I have overloaded you with information, let's dive even deeper. Why does this technology exist? Why did Satoshi Nakamoto (creator of Blockchain and Bitcoin) publish this paper anonymously, and dissapeared? There are a lot of unanswered questions in this space, and I can't wait to see the documentary on the crypto space a decade from now. Would you say that this technology is predetermined? This article lists a good reason why such an evolution was a logical step (using technology to lower the economic cost). After all, the technology was already predicted in 1999. Put yourself in Satoshi Nakamoto's place for a moment. Would you go public? I think he has enough reason to stay anonymous. Going public might make him responsible for oppressing the government or banking systems. 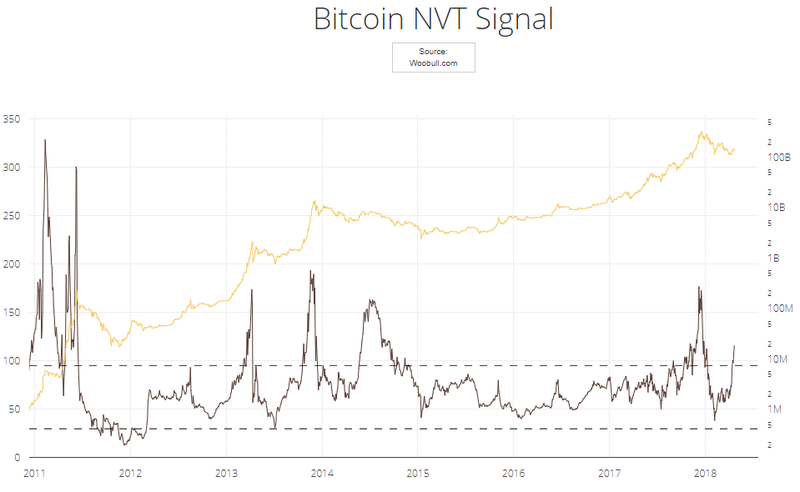 On the upside, you have a lot of Bitcoin..
How about measuring what such a network is actually worth: this article builds on a previous article of the Network Value to Transactions (NVT) ratio. The NVT ratio is used as the "crypto PE ratio" in order to compare crypto "stocks" in a similar fashion as stocks. The NVT ratio is based on Metcalfe's law, a measure of the network in terms of its users. While it's reasonably accurate, it would be interesting to see a ratio that also measures transactions that happen off-chain, for example exchange transactions. Whether or not any of the currently existing currencies survive, I do think the technology will trigger a global shift in how we deal with data. Blockchain technology (and all of its successors) have excellent usecases for dealing with personal data. We could use the technology to make the data immutable (meaning no information tampering is possibe) and more private. Maybe the dystopian fiction of having a small chip underneath your fingernails containing your private key will even become reality.. 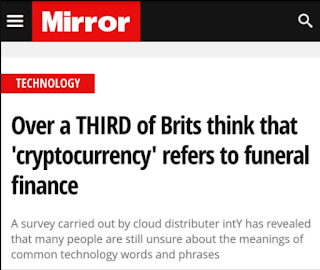 Finally, my hopes for the future are to become less dependent on central organizations managing all the world's currency and make a shift towards a decentralized solution, while we keep dreaming about a distributed network for efficiency. With this overview article I hope to have sparked your interest in this network of "trust based on distrust". Did I miss something important, or do you want to discuss? Let me know in the comments.